I’ll have things here for you to buy, including purses, lampshades, photographers props, photo templates, and whatever else I am into at the time. Told you, I NEED to make things and be creative! I love to crochet. 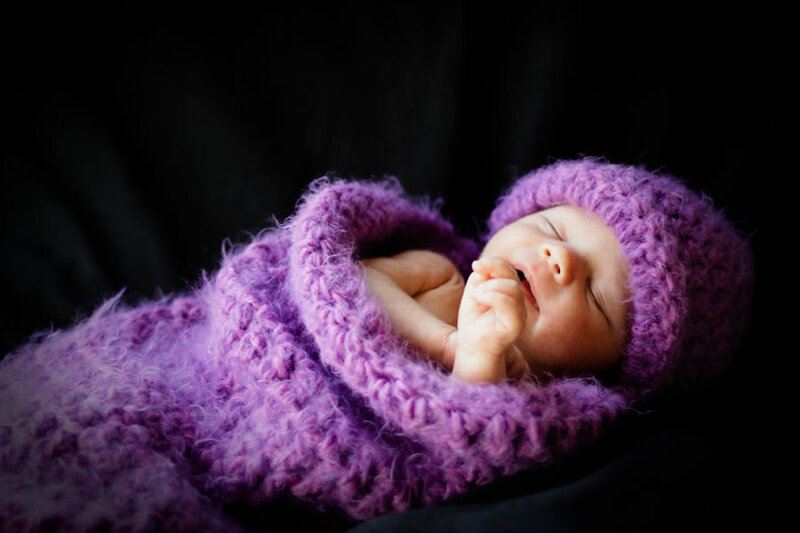 Last year, I was looking at some wonderful images from other photographers that did baby photos. 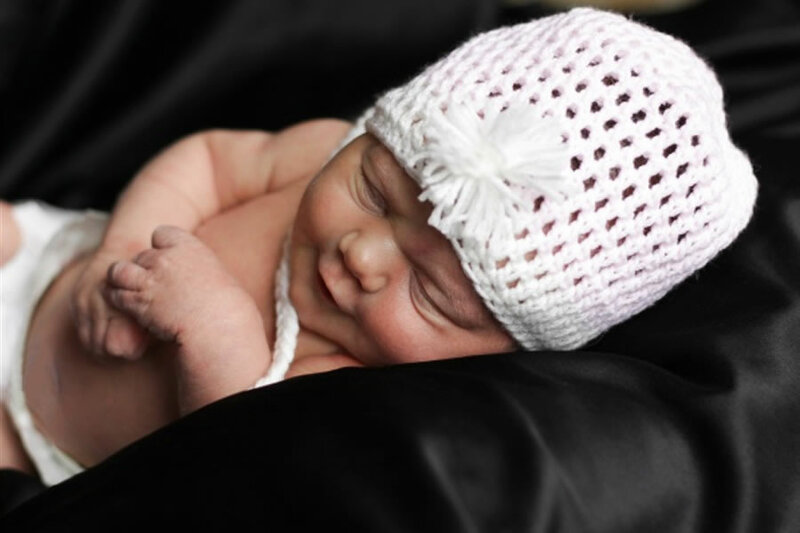 I came across those really cute ones that had all the babies in sweet, little crocheted hats and those snuggly, adorable crocheted cocoons. I thought, “I can make those!” I went to the yarn stores here in town and picked out the all sorts of colors–some bright, some soft and pastel. Then I got out my crochet needles and went to town. I had so much fun making each one. 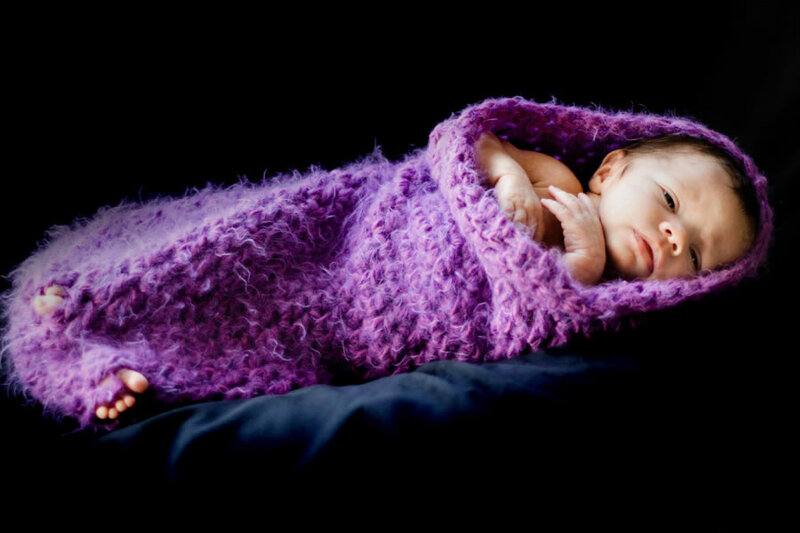 Every time I finished one, I was all “Ohhh…that is so cute!” I couldn’t wait to try them on some babies and see what they look like and how they photograph. 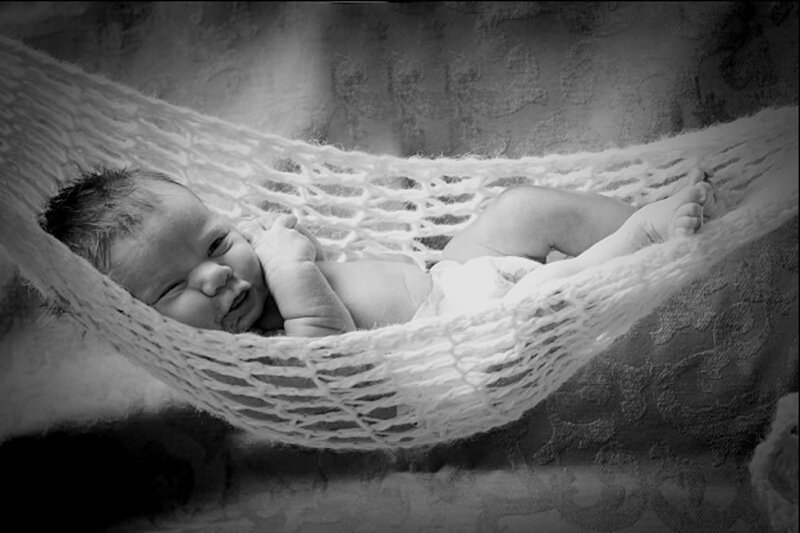 I took them to a friend of mine who I have done some digital imaging work for in the past and who takes pics of babies. 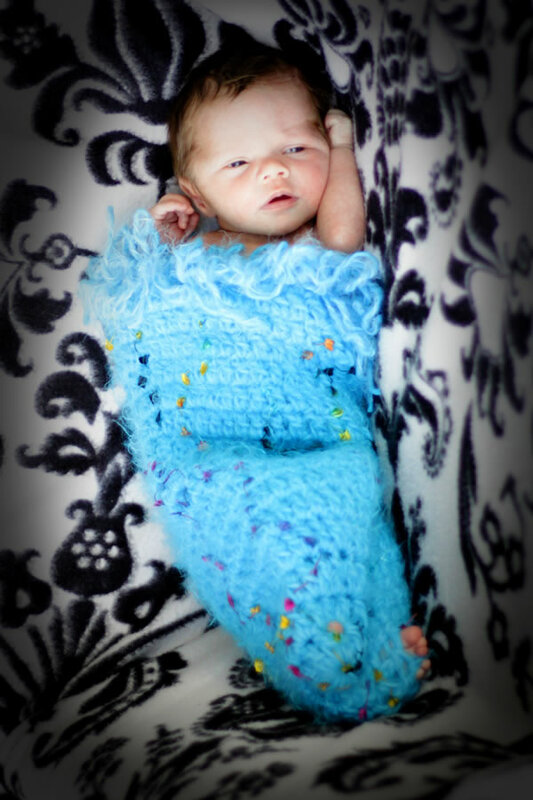 She gladly took these images of some of her tiny clients with my creations. As you can see, the babies loved them, too! 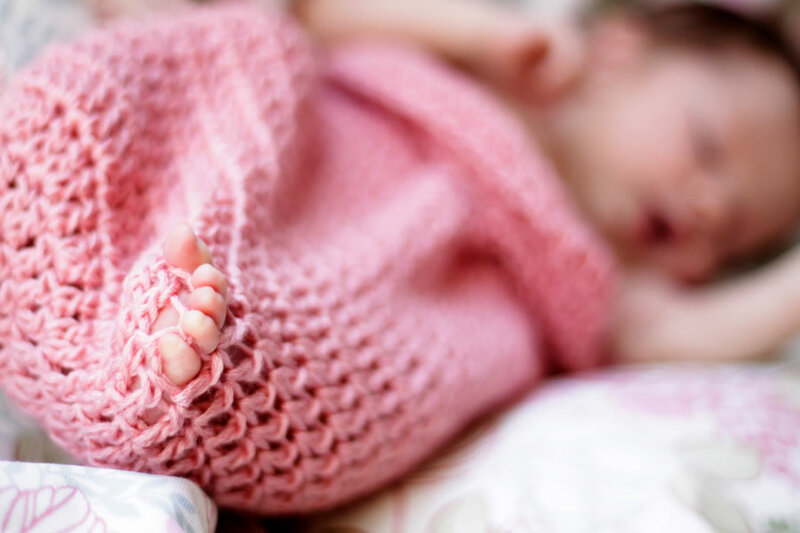 We loved the way their tiny little fingers and toes poked through the stitches–it just made it all that more adorable! Thanks, Avion, for shooting those pics for me to use! 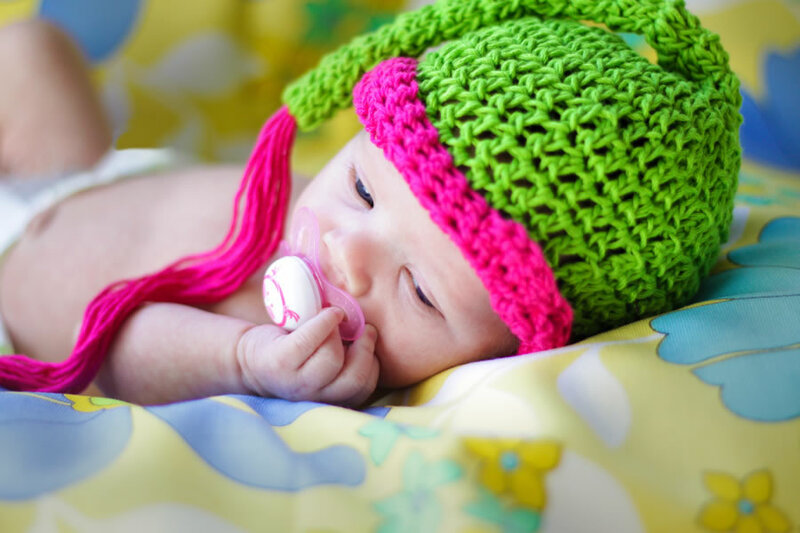 Take a look, and if you would like to have any of these for your own baby sessions, or you have something else in mind or a different color, leave a message and I will get back with you on ordering something for your own little newborns. 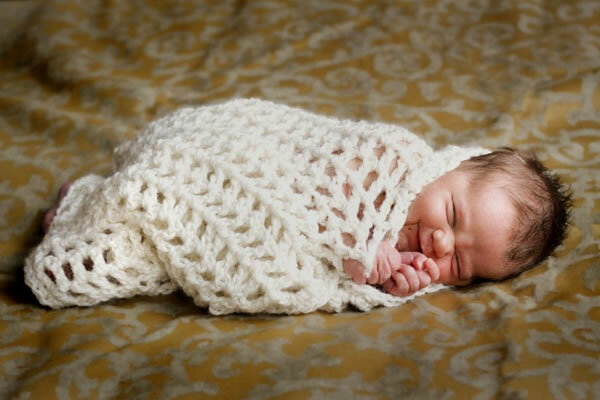 I will be adding more crocheted products as I get those photos taken. Love the board – it looks great! 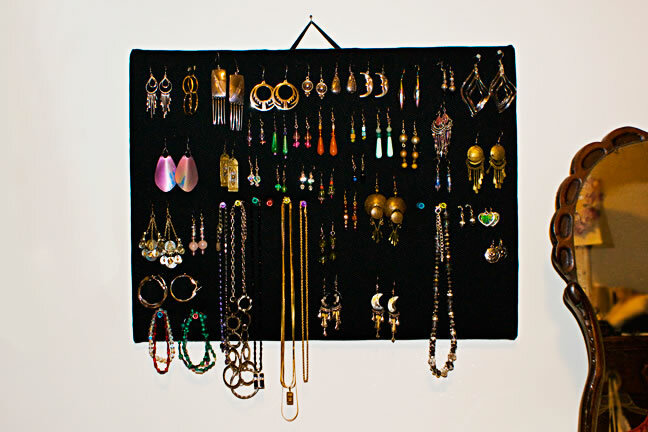 Corkboard is fantastic for necklaces, but with earrings you’re kind of stuck, so this is a fabulous alternative!